Brewed with a ‘superfood’ rich in vitamin C, and as much sodium as a sports drink, the FKT Pale Ale targets beer-loving athletes. Sometimes nothing is better after a long run than a nice cold drink of water. But for a lot of us, a frosty tall one would be preferable to chase that runner’s high. 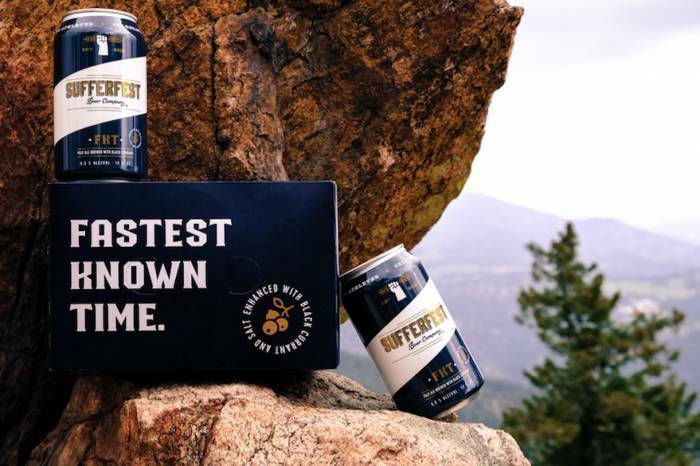 And while the carbs and minimal protein in a typical can of beer give it some nutritional benefit, ales just aren’t the go-to bevy after a workout. 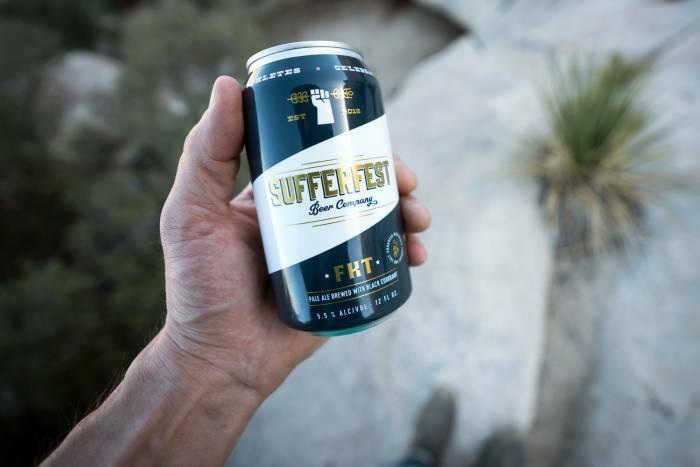 But California-based Sufferfest Beer Co. wants that to change. Announced today, Sufferfest launches the “first-of-its-kind electrolytic, nutrient-rich beer.” Appropriately dubbed “FKT” Pale Ale, Sufferfest brews the new beer using vitamin C-rich blackcurrants and infused with 65 mg of salt per serving. 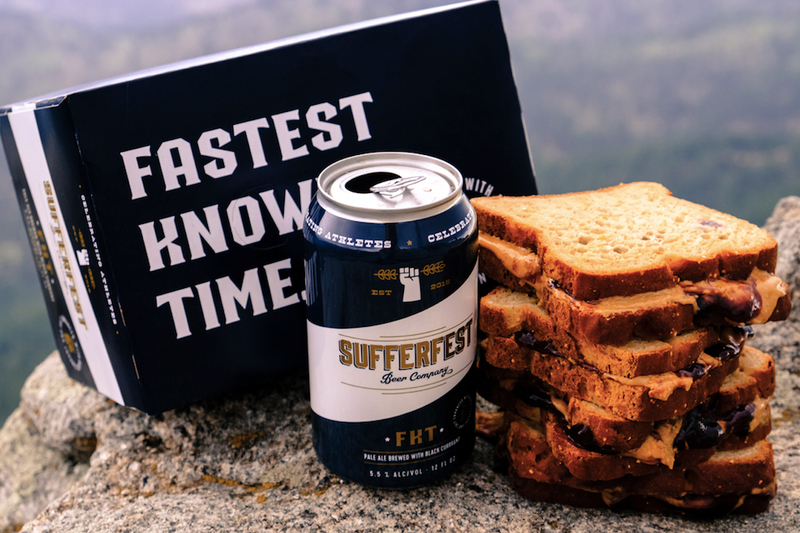 Along with the rest of Sufferfest’s lineup, FKT contains less than five parts per million of gluten. That qualifies as gluten-free in Europe and “gluten-removed” in the U.S. But FKT’s claim to fame is not what’s taken out – it’s what’s added. In addition to fruit and salt, FKT boasts Citra, Azacca, and Magnum hops for all the pale ale nuts. We’ll try this beer soon to see how well it pairs with sweat, stoke, and … pizza. Stay tuned.